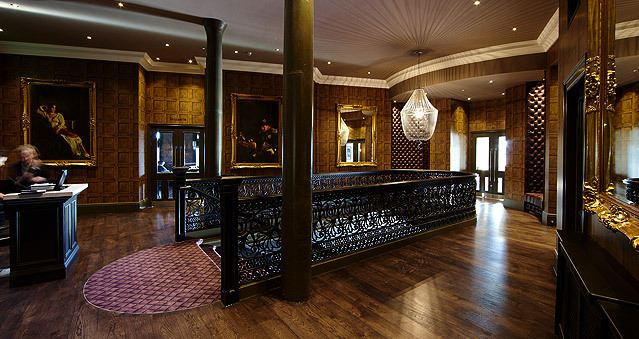 The Malmaison is a beautiful hotel in a buzzing city. Experience the extraordinary. Transformed from an elegant 19th century warehouse, Malmaison Manchester is one of the most stylish hotels in Manchester’s city centre. Consisting of 167 luxury rooms and 13 suites, Malmaison Manchester hotel has everything you need for a fantastic city break or a teambuilding event, including comfy beds, super-fast free Wi-Fi and en-suite bathrooms with baths and power showers. Chez Mal Brasserie is at the heart of the action, where you can order locally sourced and inspired dishes including smoked steaks and delicate, flavoursome fresh fish. Sit back and soak up the atmosphere with a glass of wine or ice cold beer in this red leather-and-neon styled brasserie. A fantastic spot to host any of your teambuilding events, Escape the Box, No Ordinary Quiz, The Haka Experience, Murder Mysteries, Ipad Movie Making and much more. Location: 0.1 miles from Manchester Piccadilly mainline station, ½ mile from The Arndale Centre and 1 mile from Manchester Arena.